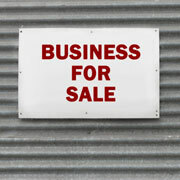 Selling a business is a goal for many owners — either as part of a succession or estate plan. If the time for selling is getting close, you want to come up with a price that you and a buyer can agree on. Here is a look at what is involved in price setting and how to determine a realistic price that satisfies both sides. As part of your exit strategy or your estate plan,let’s say your team of advisers has helped you determine that selling your business will help you best achieve your goals. An integral part of the process is determining a price. Buyers and sellers share a desire to agree on a price, but their interests typically result in different amounts. Rather than set a “fair market value” price, as a seller your objective is to find a price a buyer can afford to pay and you can afford to accept. The reason prices are unlikely to be the same is that you and the buyer will often use different appraisers and valuation methods and try to put flexibility into the process. Because the form of payment is limited only by imagination, it is difficult to compare the sale of one business to the sale of a similar one without knowing all the facts of both transactions. It is important that you assemble a complete package about your business, its markets and its suppliers for the buyer. It is just as important that you completely understand all the aspects of the business that buyers care about. That will help you determine a reasonable price range, preventing you from undervaluing or overvaluing your business. You don’t, of course, want to get less in a deal than your business is worth. But qualified buyers could walk away if your business is overvalued, triggering delays and ultimately leading to a lower price by reducing the number of potential buyers. 1. Use a valuation professional. This will help you come up with a range of values that are appropriate for negotiating the sale. Consider having the valuation professional provide a calculated value rather than a fair market value. Calculations are more flexible and can take into account issues that are more directly related to the sale. Ask for the value to be given in a range rather than a single amount. That can help you avoid fixating on one value and remind you that a sale is a negotiation. The valuation professional should also be a consultant during the sales process. 2. Gather information. There are two reasons for gathering information. First, it lets you present a complete package to potential buyers. This not only shortens the time involved, it also prevents losing buyers who may feel they lack the information they need to make an informed bid. Second, you will invariably learn more about your business and the markets and economies in which it operates. This can help you understand what will be a reasonable price range. 3. Prepare forecasts. You are in a better position to justify a higher price if you prepare forecasts. Although buyers generally won’t want to purchase potential, you want to sell it. Forecasts that are well thought out and documented help the negotiations. They also can speed up the process by providing information that will assist buyers in formulating their financing and equity package. After going through these steps, you will be in a position to make an informed decision on an acceptable price range. Just as proper preparation can help you avoid unrealistically high price expectations, it can also help you avoid undervaluing the business. Whether you are planning to sell in the near future or looking ahead to plan your estate, our financial experts can help. If you have questions about this article, or any other financial matters, please connect with our team. « 2016 Budget? …Don’t Forget to Feed it!